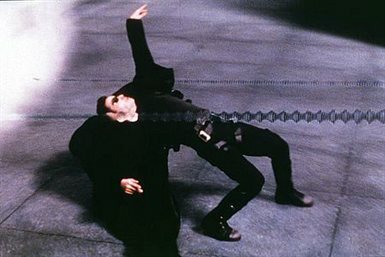 The Matrix follows the trials of Neo (Keanu Reeves), a young computer programmer, searching to determine the deepest reality of a post-Apocalyptic world. His journey uncovers a web of deceit and massive computer-generated illusions obscuring the truth. As Morpheus (Lawrence Fishburne) says to Neo, No one can be told what the Matrix is. You have to see it for yourself. Download The Matrix in Digital HD from the iTunes store. The Matrix images are © Warner Bros.. All Rights Reserved. Every couple of years a movie comes along that defines a generation of films. 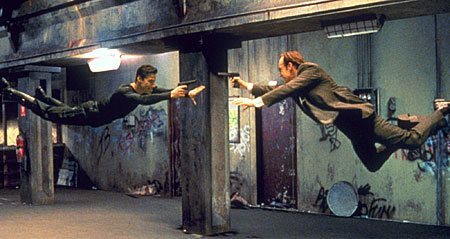 In 1999, that film was, The Matrix. Now, ten years later, the film that defined a generation makes its way to Blu-ray. 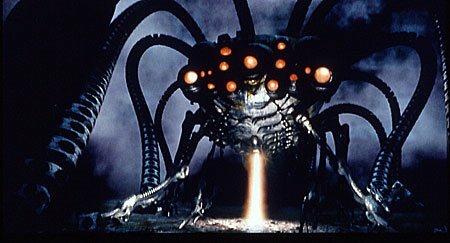 The Matrix follows the trials of Neo (Keanu Reeves), a young computer programmer, searching to determine the deepest reality of a post-Apocalyptic world. His journey uncovers a web of deceit and massive computer-generated illusions obscuring the truth. Ever since the Matrix film was announced, I was intrigued by the concept; and I could not wrap my head around how the Matrix storyboards would actually come to life on screen. Then on March, 31st, 1999, I witnessed what I thought, at the time, was perfect movie making magic -- The Matrix. The movie completely enthralled me, from the great story line, to the simply amazing bullet-time special effects. That spring I probably saw the Matrix over four times in the theater, and to this day, I can recite the film line for line. Fast-forward ten years to 2009. 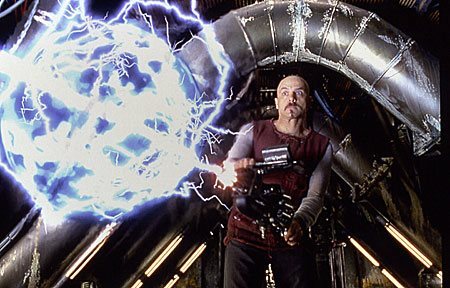 Bullet –time has been over used, special effects have matured exponentially, and the final Matrix film (Revolutions has brought down the might of a once great film). 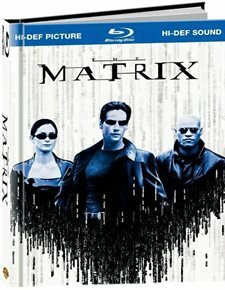 Enter the Matrix 10th Anniversary Blu-ray, and all of sudden the past ten years melt away. The film is simply eye and sound candy for any home theater enthusiast out there. You are simply immersed in the world of the Matrix, the sites are simply amazing and life like. Every piece of the Wachowski Brothers film is displayed beautifully with this Blu-ray. 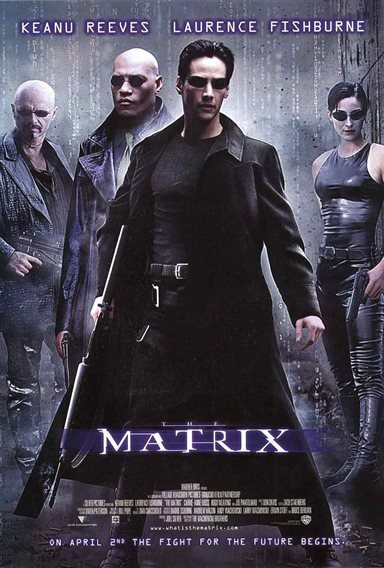 Aside from the amazing 1080p photo realistic picture, the Matrix boasts an amazing Dolby TrueHD soundtrack that will literally put you inside the middle of the famous gun battle in the lobby. The bullets literally whiz by your head and all around you (even though this is an overused phrase, it could not be closer to the truth this time). The special features on this edition are a little light due to the fact that Warner Bros took every bit of space to make sure the film is a work of perfection. However, there is a digital copy of the Matrix, movie trailers, TV spots present in 480p. As Morpheus (Lawrence Fishburne) says to Neo, no one can be told what the Matrix is. You have to see it for yourself, and the best way to start is with this amazing 10th-anniversary edition that will make you remember why the Matrix was such a phenomenon in 1999. The Matrix images © Warner Bros.. All Rights Reserved.